An authorized user can use the form shown to enter the information for a new milestone. All the fields except responsible user are mandatory. Milestones, once created, can be associated with Test Executions. Any part of the milestone's information can be updated by an authorized user. 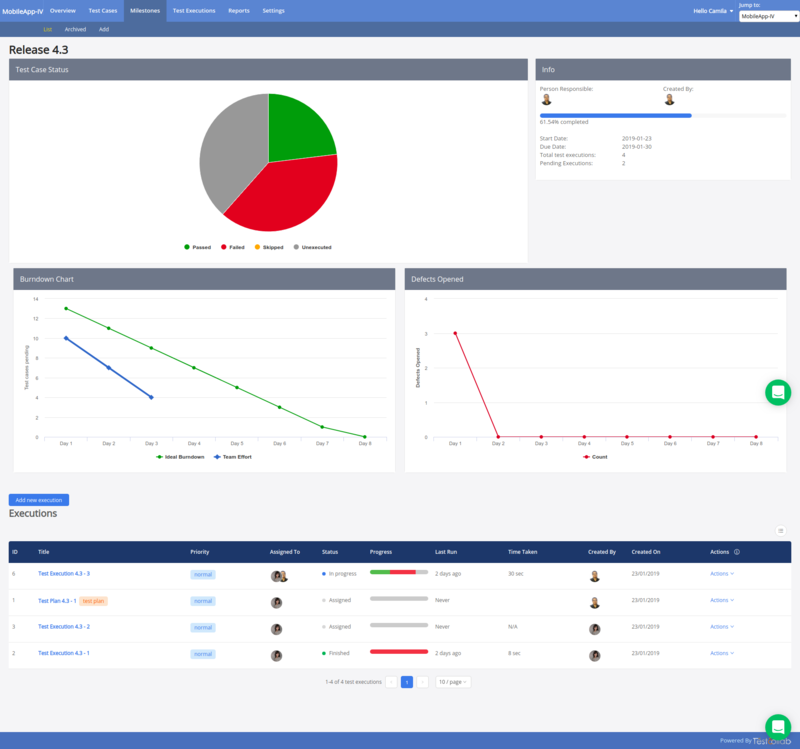 The milestones' list screen is available for all members of the project ; and an authorized user gets the options to manage the details. Total number of "Test Executions", and pending "Test Executions"
Concerned members will receive emails if notifications for milestone's due date approaching, its completion, or its delay have been enabled by an administrator. Milestones are important part of a project. When you view the milestone details you not only see the list of test executions that have been associated with the milestone but also the status of test cases on the basis of the latest executions. General information about the milestone. 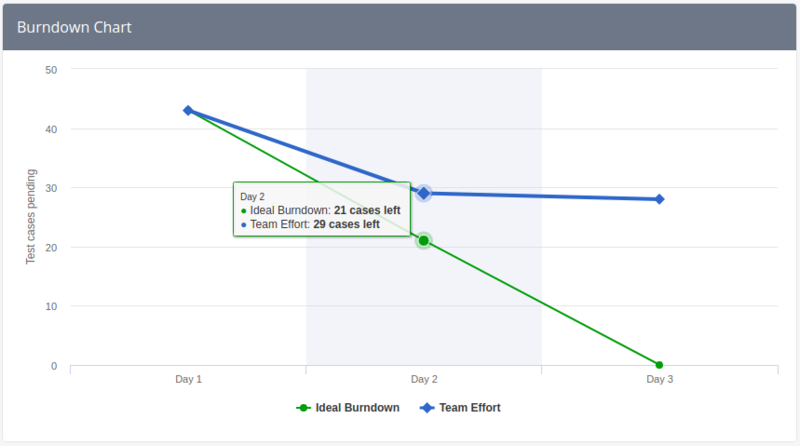 The burndown chart as the name suggests provides a comparison on ideal burndown and the efforts your team has put so far to meet the milestone deadline. 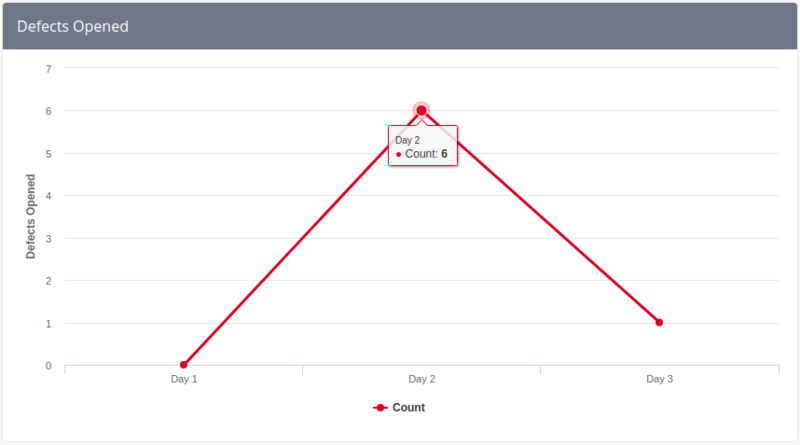 The ideal burndown shows the number of test cases (to be executed and passed) decreasing day by day based on the number of days to the deadline. Depicts how many defects that have been opened each day since the milestone has started. A link to allocate new Test Executions to the milestone is also available for authorized users. Details of allocated Test Execution under the milestone are also available. Hovering the cursor over a Test Execution would provide links for user to View/Edit/Assign/Delete the Test Execution. Archived Milestones' list can be viewed by selecting Archived option under Milestones Tab.